The Champ has you covered featuring solid steel construction with a built-in footrest for added comfort. Two inch thick padded seat that flips up and out of the way for full use of the large platform. Manufacturing the lightest and most innovative ladder, climbing, and hang-on treestands in the industry. How to Know When You Have Picked the Right Spot for Your Treestand? Subscribe and get updates and news on our amazing products. Enter your email below. 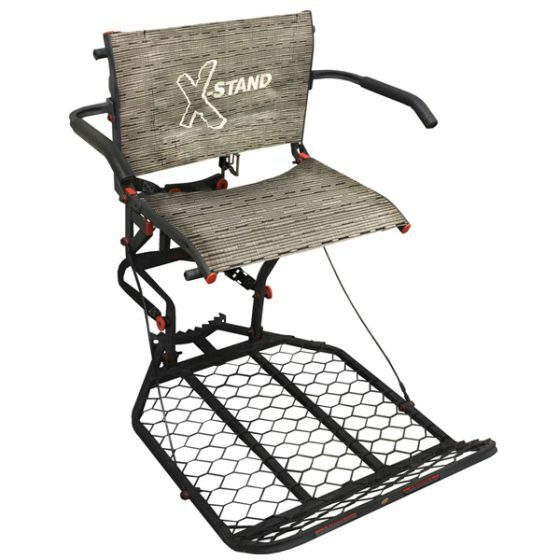 Need to return an X-Stand product? Please read our Policies and Procedures.